Caroline and I take many phone calls from parents that wish to improve their child’s sleep. During our conversation, I will ask what their baby needs in order to fall asleep. Quite often the parent will tell me that their child self settle, that this is the easy part but it is the constant waking after they go to sleep that is the problem. Right there and then I want to know EXACTLY what the baby needs in order to fall asleep so that the parent’s definition and my definition come from the same place. A baby that is drowsy and with a dummy being put into the cot and then falls asleep is not self settling. While technically the baby has done the last step of falling asleep by closing their eyes, they had help to reach this point. Help that you baby will need when they come out of sleep cycle during the night, not understanding why they are wide awake and have nothing in their mouth that is comforting and helps them relax to sleep. This part of making sure a baby is self settling is most crucial when working out where to start in order to improve a baby’s sleep pattern. So take a moment if you are reading this with an interest in improving your child’s sleep. Really look hard at what ‘feelings’ that your baby has when they are falling asleep and see if there is anything subtle that they are relying on that you may have overlooked. If you find things, then great work on allowing your baby time to adapt to self settling. In my terms, self settling is not having a feed in the room that the baby falls asleep in, that they are wide awake going into the cot and able to put them self to sleep with no assistance from you, and if they do have a prop or sleep aid such as a dummy or comforter, that they can manage this step on their own. We will discuss this part further in the post. So every so often, I do find myself talking to a parent on the phone and in my head I am checking off my list : so your baby has their feeds out in the living room, tick, your baby is going into their cot WIDE awake, tick, you don’t need to help them to fall asleep, tick, they don’t have a dummy, tick. These babies are ticking all the usual stumbling blocks of babies not being able to self settle and still they are not sleeping for adequate blocks of sleep usually at night. Hunger – your child might be feeding well but their feeds may be a long way from them falling asleep and as they have got older, their awake time is longer and so they are not feeling quite as satisfied as they did when they were smaller. Also, as they are growing bigger, their appetite may have increased. 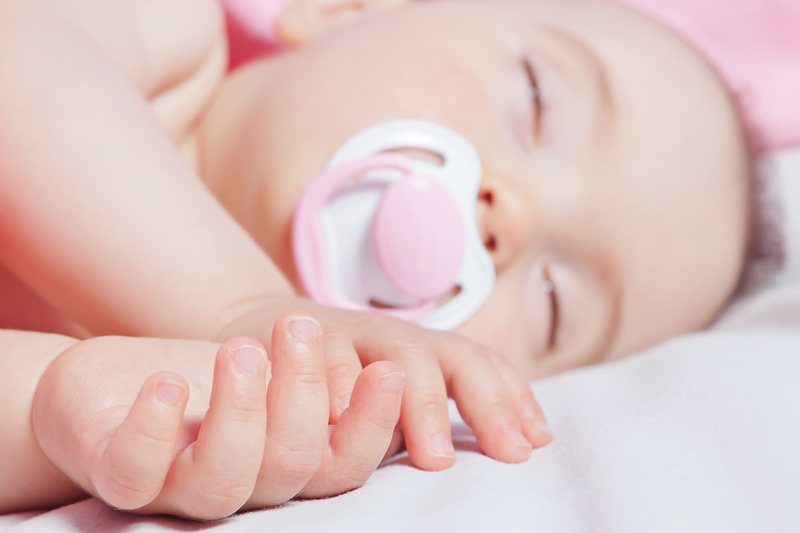 Timing of Sleeps – often overlooked as a way to improve a baby’s sleep. It may be that your baby’s needs have changed now that they are sleeping a little better or that they have outgrown the routine that you had them in, and need to stay awake a little longer between day sleeps or have less sleep in the day. Keep a 24 hour feed and sleep diary to document your baby’s usual pattern. Then try a few alternatives such as keeping your baby awake a little longer to see if this helps or hinders sleep. Also look at when in the day your baby is napping. Your baby may be on two each day but not waking until quite late in the afternoon which then hinders their ability to settle well in the evening and stay asleep overnight. Feelings – if you are a follower of Caroline’s Angels, you will know that we focus on the feelings that babies have around sleep as a cornerstone of our problem solving. So coming back to props and sleep aids such as dummies and comforters, this might be causing a problem. If your baby goes into their cot wide awake, well away from a feed and they have a dummy in their mouth and/or a comforter in their hand, and simply and peacefully falls asleep, ahhhhhh. There doesn’t seem to be much of a problem. That is, until they wake from a sleep cycle through the night and work out that the lovely sucking feeling that they go to sleep with, and or the squishy soft feeling of their favourite Teddy Bear is no longer in their chubby little fingers, is no longer there. This now constitutes a big problem. Your child no longer has the feelings that they require to fall asleep and as babies are not great problem solvers, they are unable to fall back to sleep without your help which may be as simple as attending to them to replace the dummy in their mouth or hand them back their teddy that is down the other end of the cot. To extract these items is often stressful for both baby and parents so you may trial teaching your baby how to manage their sleep aides independently. Put them to bed with dummies on the mattress and comforters randomly left in a variety of different places in the cot. That your child will need to find them on their own, put their dummy in their mouth or cuddle their comforter that they found on their own. As this is exactly what they will need to do in the night. Some babies are able to manage this from around 6 months of age onwards, but usually by around 9 months most babies can independently mange their sleep aides. This would be one of the most common reasons why babies don’t sleep well. 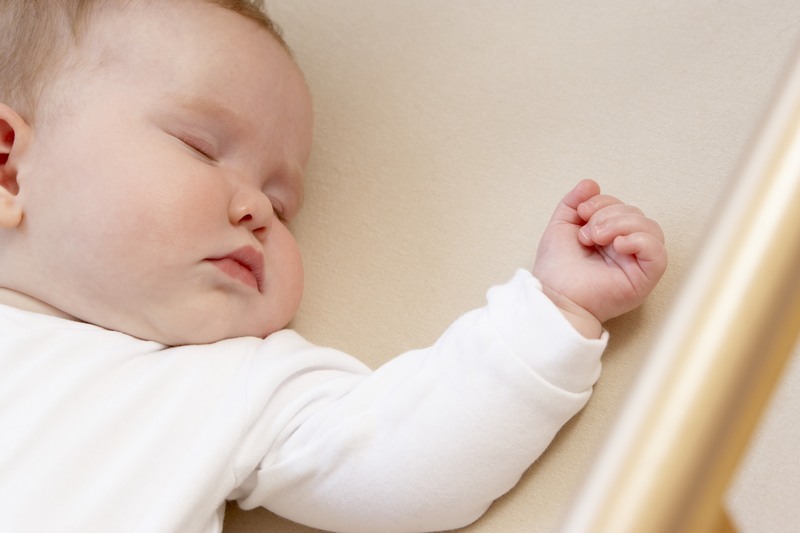 Positioning – like feelings around sleep aides, babies who are now mobile such as rolling, sitting or standing in their cots, the position that they go into their cots may be problematic. Imagine you are your child. That your tummy is comfortably full, you are dressed just right for the weather conditions, you have had a lovely wind down period with your loving parent or carer, you go into your cot wide awake as you usually do, laying down on your back and you are so content and ready for sleep that you simply drift off into sleep. Then as is normal for babies to do, your brain starts to want you to move around in your light phases of sleep to master some milestones. While you are moving around, you get to sitting. You come out of your light phase of sleep to recognise that you are now upright in your cot and no longer laying flat and ready to fall asleep. You are perplexed at how you got like this and even more perplexed at what to do about it. Your whimper and grizzle but still can’t figure it out. Nope, still not right, I can’t go back to sleep. So you cry, your parent attends to you, they may just lay you down realising that you can do the rest on your own and leave you to settle, which you now recognise what to do and fall back to sleep quickly. Alternatively, your parent may not understand this and pick you up, feed you, rock you in their arms and because it is now the fifth time you have done it tonight, you are brought to their bed to spend the rest of the night. You parent is now too exhausted to battle your waking any further. Can you see how easily sleep problems can be reinforced? You may just need to look at teaching your baby how to fall asleep from sitting, or that for younger babies that are moving around but not yet sitting or standing, that you put their head up one end of the cot for one sleep, then offer the other end of the cot for the next sleep. Then your baby will learn to normalise the feeling of waking up in a different position to that of how they first went to sleep. A simple but very effective step. So this is why there is such in importance on self settling being a big part of a baby who sleeps well, and if you have been frustrated because your baby has been self settling and you still have had problems, now you can start to understand why and more importantly what you can do to resolve this. If you feel that you would like individual assistance, please contact us at Caroline’s Angels. We can offer a one off phone call to parents that wish to check in with us and use our vast and expert knowledge of babies and settling to form a plan of how to work toward improving their baby’s sleep. Caroline’s Angels also offers in home support in Perth and Melbourne.